Adaptable, stylish and thermally efficient, our aluminium bi-folding doors will add real value to your home. You can open up an entire wall of your property with our Bi-fold doors, bringing the outside in and creating a wide, bright and welcoming space. Aluminium bi-fold doors create a bright space filled with natural light and are perfect for opening up your home. 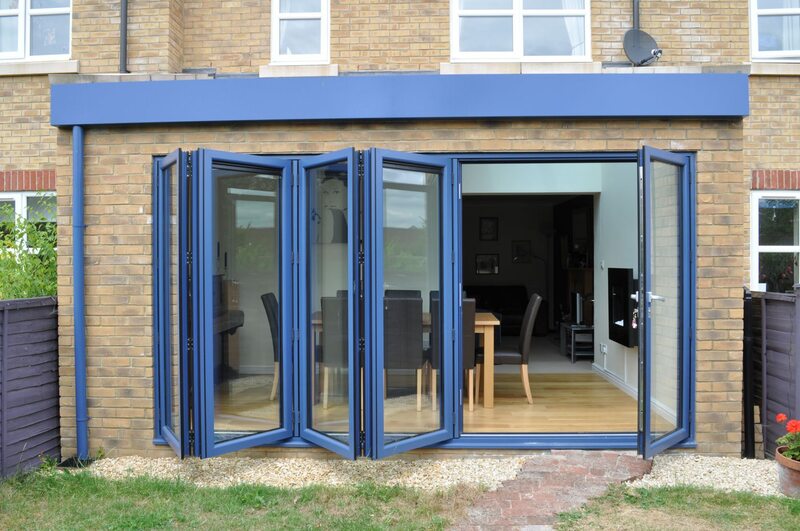 Our beautifully engineered bi-fold doors are incredibly adaptable and will transform any property. They are made from extremely robust aluminium, making them ideal for your new back door. There are many options to choose from, giving you a bespoke door that will suit your property and tastes and will make the perfect addition to your living room, bedroom, kitchen or conservatory. An aluminium bi-fold door will add a touch of elegance and finesse to any external aspect of your home. When closed, the stylish glass adds a contemporary feature to your property. Once opened, the stunning effect of bringing the outside into your home is revealed. Our incredible bi-fold doors are of high quality and come with the assurances you would expect from a cutting edge product. They are inherently strong, durable and secure, meaning you will enjoy low maintenance and reliable performance over many years. Sternfenster manufacture our quality, ultramodern aluminium bi-fold doors using the Smarts Visofold 1000 aluminium profile. This gives you a variety of options to choose from when selecting your bi-fold doors. These include different fold configurations, from left to right or vice versa and pleasing slim line framework available with either square or rounded edges. All our aluminium bi-fold doors are fitted with a secure locking mechanism with a domestic style ‘lift up’ handle for ease of access. Our aluminium bi-fold doors are not only the perfect choice for domestic and residential properties, they are also ideal for commercial properties looking for an elegant and stylish door system. 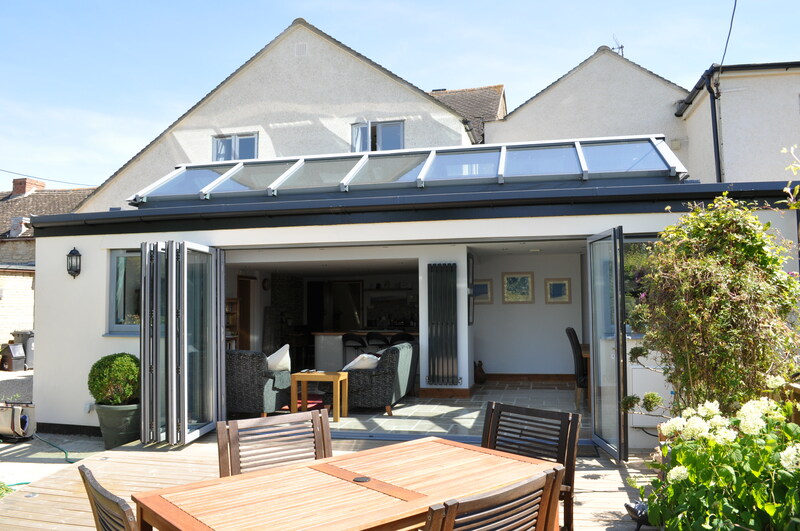 Aluminium bi-fold doors provide excellent thermal insulation. They are thermally broken, so they will not allow heat to be lost through the frame, helping to keep your home warm and comfortable. They come with a polyamide thermal barrier to reduce heat loss and are available in either 28mm double glazed units or 36mm triple glazed units. The double glazed option is available with integral blinds and gives a U value of 1.8 W/m²K, the triple glazed unit gives an overall frame U value of 1.4 W/m²K. Our doors are available with a standard threshold with an up stand of 31mm or a low threshold version with ramps at only 15mm meaning they are ideal for wheelchair users and people with mobility problems. 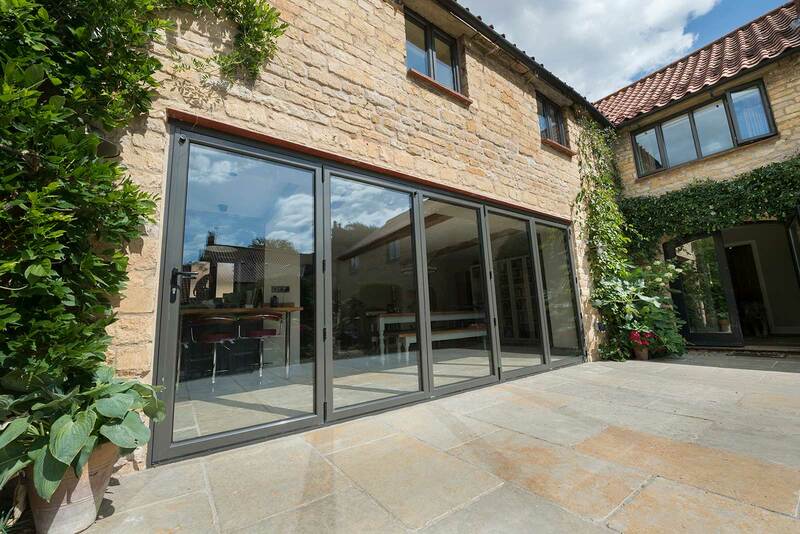 Get a free, no obligation quote on our aluminium bi-fold doors in Derby and Derbyshire.